Career Days invite young people to discover and explore careers within Seattle’s diverse creative sectors. No experience required! These free-to-attend, one-day events provide young people ages 16 – 24 direct access to industry professionals through networking, experiential learning, engaging conversations, and performances. 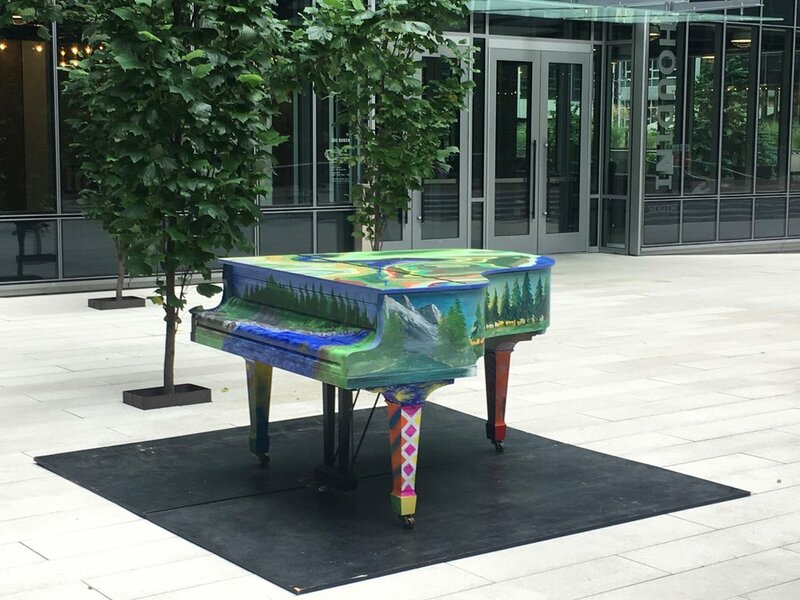 One Reel is excited to announce that PIANOS IN THE PLAZA, an intimate version of their Pianos in the Parks programming will be taking place on August 3rd-30th in South Lake Union. This program will temporarily replace Pianos in the Parks, which will be taking a brief hiatus until the summer of 2019. After losing a big donor this year, PIANOS IN THE PLAZA continues due to strong community partners and personal support! One Reel greatly appreciates any donations that you can make to keep events like this running! Having proudly produced Bumbershoot for almost four decades, One Reel welcomes a new role in the stewardship of this extraordinary event. One Reel is now collaborating with AEG Live to produce the Festival. 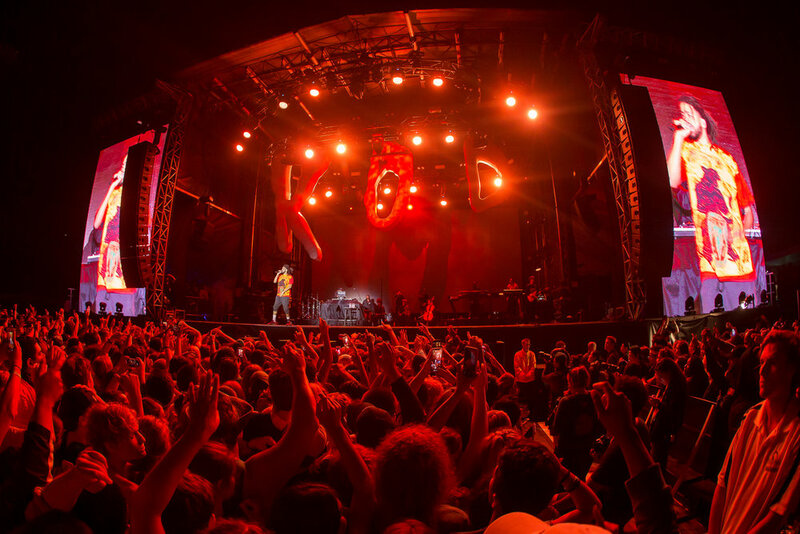 This new relationship allows Bumbershoot to reap the dual benefits of AEG’s expertise as an international producer in the music and special events industry and One Reel’s special regional expertise of the community and local arts scene. 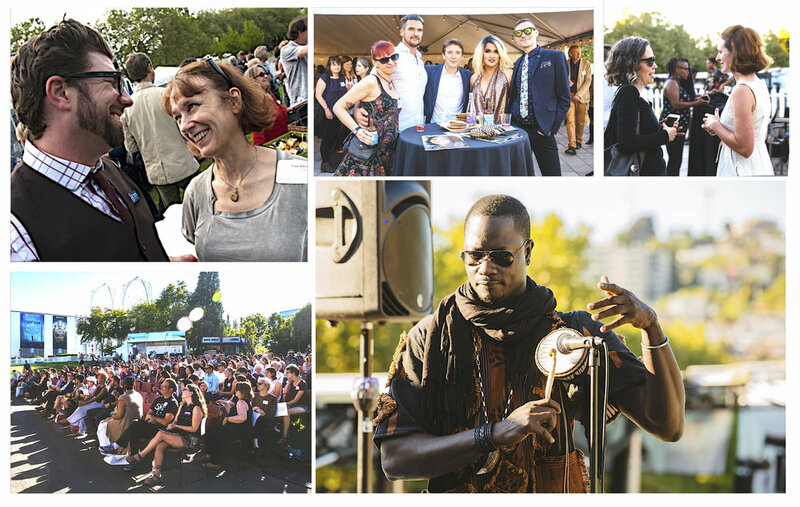 One Reel will continue to work with scores of Seattle and Northwest arts organizations, artists and project producers to showcase a unique collection of film, dance, visual and literary arts, spectacle, comedy and children’s programming. The organization is dedicated to preserving, protecting and enhancing this hometown arts celebration that reflects the unique character of the region. One Reel is honored to be part of Bumbershoot’s special history, and dedicated to being thoughtful stewards of its future. Reminisce with the Posters and Lineups of each Festival since 1972! In accordance with the City of Seattle Municipal Code 14.08 (Public Accommodations Ordinance), One Reel does not discriminate in making its event premises available for use on the basis of age, race, color, national origin, marital status, parental status, sexual orientation, gender identity, political ideology, creed, ancestry or the presence of any sensory, mental or physical disability.